This week we have a Language Arts freebie for you!! This is a portion of our 3rd grade Language Arts program for you to try out! 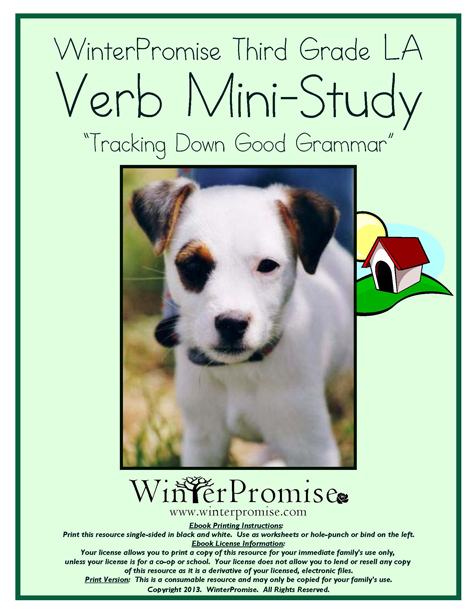 The whole year of 3rd grade Language Arts is entitled Tracking Down Good Grammar. Your child will learn about the 8 basic parts of speech with Scout, the WP dog, as seen on the cover above. This program fully grounds the student in grammar instruction as students learn parts of speech and basic mechanics such as capitalization, sentence structure and types, and more. A rollicking-good time will be had with the workbook set, guided by the endearing dog, Scout, whose adventures are sure to have kids learning and laughing. Students continue to improve their reading skills, reading suggested books that range in length from 65 to 250 pages, but which have a consistent reading level achievable for this age. Students are expected to read about a chapter a day. You’ll love the functionality and flexibility of our ebook language arts programs for grades 3-6. Each program is an ebook collection that includes a Guide and most of your language arts resources. These ebook collections are specially formatted to make them easy to view on a tablet or laptop, or print from your home printer and use. The language arts worktexts, for instance, can be printed as worksheets at home or in WP’s booklet format at Staples. Best of all, your ebook purchase allows you to print as many copies of consumables as you need for your family. Printing consumables can really help you save on most language arts programs, as so many include several consumables. Another change this year is that we are no longer selling readers as part of our 3rd-6th LA programs. With the advent of personal reading devices, tablets, smartphones, and laptops, more and more of these books are available in a less-expensive ebook format. Reader sets are still available as special order items, but we believe this offers flexibility to parents to choose to buy ebooks, or borrow books from a friend or library to reduce their homeschool costs. Instead, we are including eReading Schedules that schedule books and provide discussion questions. Go to our store to purchase the entire Language Arts program! 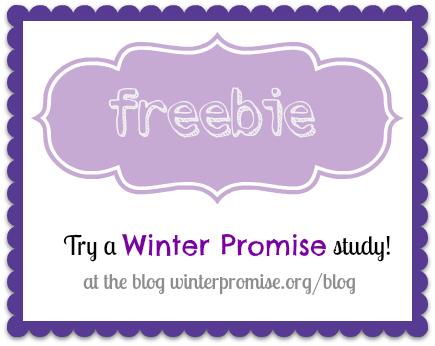 We are so excited to share with you a brand new freebie for you to try out from Winter Promise! This time, we are offering a freebie for PRESCHOOLERS! 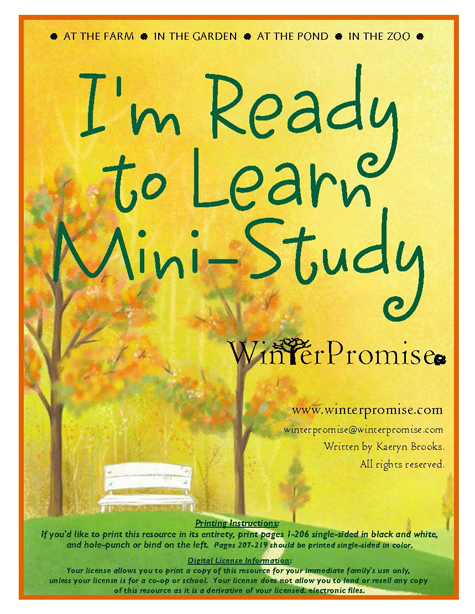 So, if you would like to try out this mini-study with your preschoolers, please click on the link below! And let us know what you think!! This preschool curriculum includes 4 fun filled themes: farm, garden, pond, zoo. The freebie on this post contains the POND theme from this study! You could use this with your preschooler over a span of 1-2 years, spending as much or as little time on each skill as you would like! Go to our store if you’d like to purchase the entire study! Will Winter Promise Work For Us? It’s a great question! 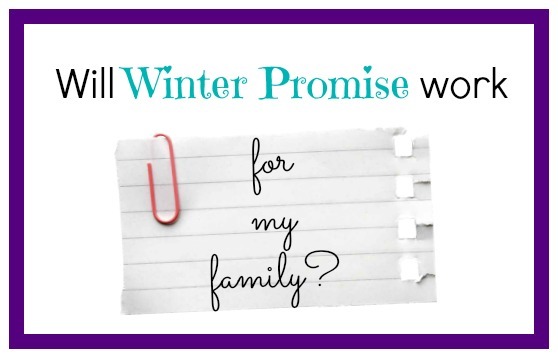 How do you know WinterPromise will work for your family? Is it the right choice? Chances are, as you look around at curriculum, you’ve got three things you’re considering — Can I effectively use it? Does the cost work for us? Will it be the right fit for us? Here’s some help that might make you SURE that WP is just right for you! Can I Effectively Use WinterPromise? Yes, yes, yes! And yes, of course we’d SAY that, but is it really true? Well, here’s the skinny. WP was designed from the ground up on a foundation of practicality. Practicality to us means that (1) you CAN do it, and (2) you WILL do it. How do we know you can do it? Because every effort has been made to give you an easy-to-follow, glance-and-get-going guide. It’s not a technical manual, it’s simple to use, and the individual guide pages cover just one page, so it’s easy to see your week as a whole and make realistic plans. Resources have this same base practicality. If it isn’t clear, we really don’t want you to have to mess with it. How do we know you WILL do it? Because we’ve created a curriculum that perfectly functions together and has achievable activities for real families. Every year parents tell us that their first year with WP was their first year to EVER finish a curriculum! That says a lot! Does the Cost Work for Us? Every family has a real budget they have to work inside, and so this is something a lot of families might wonder. 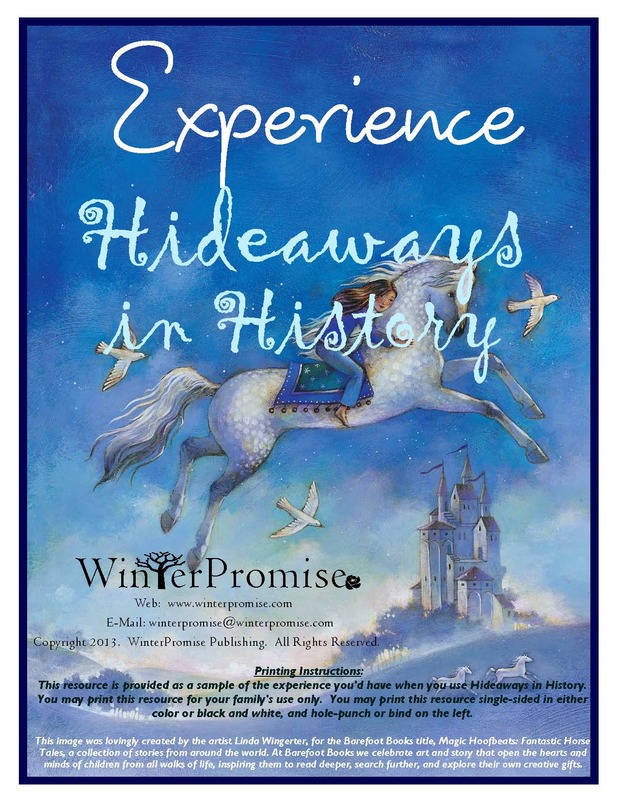 WinterPromise offers some of the best resources in homeschooling, and expects to provide everything you need for a topic you are buying. If you purchase a themed program, you are typically covering your needs for history, culture, art, humanities, social science, geography, and Bible. It can also cover some or all of your reading. With other companies, you may feel as though you need to add the “fun stuff” — a proposition which can be expensive and may not provide the experience you were really hoping for in the first place. Have you ever purchased one of those “fun” resources, only to find that it wasn’t what you expected or didn’t live up to what it promised. That won’t happen with WinterPromise. Families get all these “fun” experiences right within the curriculum, and WP delivers an enjoyable, practical, I-can-do-it experience that families love. It is worth every penny and more! Will It Be the Right Fit for Us? Each family has its own unique personality — and is made up of unique personalities! Think about how risky it is to purchase a curriculum like one that is solely a literature approach program that works for a few learning styles, but not for many others. The same is true for purchasing a solely hands-on curriculum. WinterPromise utilizes its own “Experience Approach,” integrating all types of experiences based upon multiple learning styles. Using solid educational advances in multiple learning styles, WP integrates an array of experiences. Some reach out to one or more learning styles, while others utilize different learning styles. This means you can tailor the curriculum to your family, rather than making the curriculum fit you! It means you can do together experiences that fit everyone, and then let some students specialize in some types of activities, and others focus on a different type that fits their own learning style. 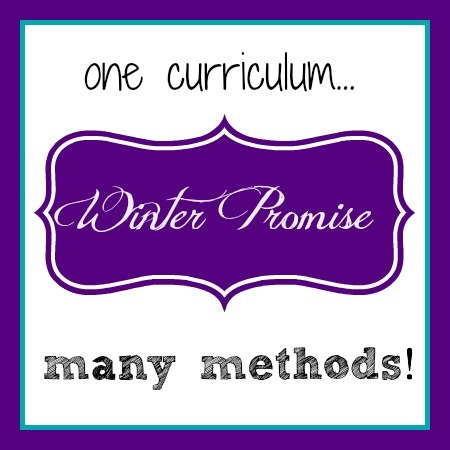 In this way, WinterPromise is everyone’s curriculum. It will work for you! 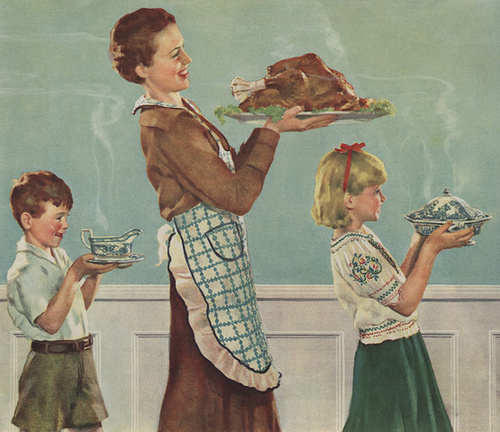 Oooh – You say — but I guess I have one more thing I’d like to ask — What if I’m not Super Mom? 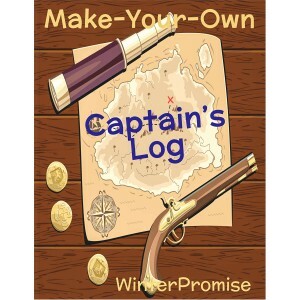 Will WinterPromise still work if I would rather keep things simple? Oh, of course! 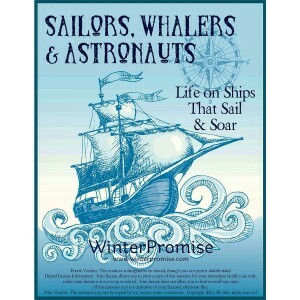 WinterPromise provides you with high-impact choices that let you enjoy your own trimmer version and still immerse yourself in an easy-to-complete, well-rounded study! You really can have it all! Really! https://winterpromise.com/wp-content/uploads/2013/07/willwpwork.jpg 358 558 kaeryn https://winterpromise.com/wp-content/uploads/2018/02/A_WinterPromise_Blue-Green_Transparent_Lined_Small_v2-300x58.png kaeryn2013-07-08 07:30:532014-02-25 14:32:28Will Winter Promise Work For Us? Climb into the Crow’s Nest and Become a Pirate! The new Pirate Pack will guide you on your way! 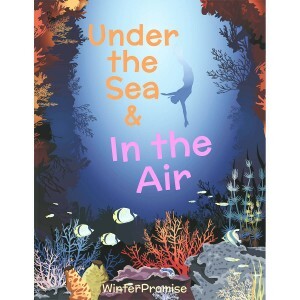 This fun pack is a part of WinterPromise’s “Adventures in the Sea and Sky” program, and is just one of the fun topics students love to delve into during this amazing year-long program. So just what will your favorite ruffian discover about pirates in this awesome pack? So — How About Trying a Micro-Study on Pirate Dress? It’s taken from the Pirate Pack. Click on the link below to download it and transform into a Pirate! Click this link to download this FREE Pirate Dress Study! Go here to purchase the full Pirate Journaling Pack. 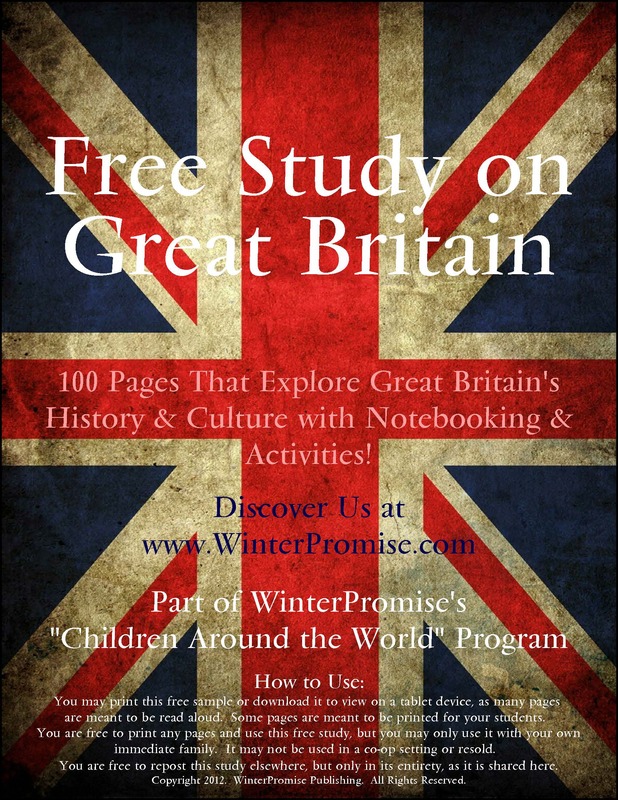 Did you know WinterPromise offers world history for young students? You’ll find it in our “Hideaways in History” program. This program offers a variety of easy-to-use resources for students in Kindergarten and 1st grade. Want to See the “Hideaways in History” Program for Yourself? Download the Free Mini-Study on Rome by Clicking the Link Below! Look at Hideaways in History on our website. Purchase Hideaways in History here. Want to Try Children Around the World? Children Around the World is one of WinterPromise’s most popular programs — and it recently added a lot of great new resources! Resources like specially formatted ebooks to enhance each country study, and fun resources like Native Costume Stand-Ups and Country Doodle Placemats. Parents also love the easy to digest book, “Children of Many Lands,” in which they learn about the history and geography of 3o countries, together with neat information on its traditions, celebrations, cities, landmarks, and more. Then there are the “you-can-do-it,” easy activities WP has included to introduce your family to the “flavor” of each country. Great recipes, fun to try games, traditional activities, plus crafts or real-life experiences — these all round out the ready-to-do activities WP has put together for you, to make this program as easy as can be. To add real meaning and depth to this program, WP offers information on the lives of children, not only in their everyday lives around the world, but also in other settings. It allows students to see how kids in other parts of the world long for simple things like clean water, a school to attend, enough food to eat, or even just to stay healthy. It gives kids a chance to do some neat volunteer activities and look at how much they themselves are blessed. But the heart of this program really is the huge notebooking resource. WP’s “Travel Diary” for this program includes text on the notable landmarks of each country, its flag and a country map, special finish-it-yourself native costume pages, intriguing mysteries or facts on natural places or manmade cities, castles, towers, or ruins, and so much more! The Travel Diary runs more than 300 pages long to keep students completing a lot of interactive work and having a blast! Head Here to Check Out Children of Many Lands Yourself! Click on the Link Below to Download the FREE Great Britain Study! It takes awhile to download, because it is 100 pages long! Read more about Children Around the World on our website here. Purchase any of the Children Around the World curriculum here. https://winterpromise.com/wp-content/uploads/2013/07/winterpromisefreebie.png 346 435 kaeryn https://winterpromise.com/wp-content/uploads/2018/02/A_WinterPromise_Blue-Green_Transparent_Lined_Small_v2-300x58.png kaeryn2013-05-16 19:19:482016-03-03 20:26:54Want to Try Children Around the World?